The Tangiers’ Renault plant is planning to produce 180,000 units in 2014 and is heading to an annual rhythm of 200,000 units, said General manager of Renault-Morocco, Jacques Prost. 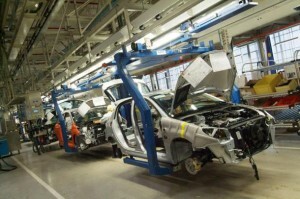 The car-maker general manager told French weekly “L’Usine Nouvelle”, the 2014 production is inferior to the plant’s actual production capacity of 340,000 units annually, as a result of the European market slow growth. Prost who noted that the sourcing rate stands at 42pc, called for lowering the logistics cost in order to improve Morocco’s competitiveness, citing, as an example the high price of the Gibraltar strait crossing.